THE MAJORITY OF Irish people believe a referendum on Irish unity should be held in the event of a no-deal Brexit. Responding to a poll for Claire Byrne Live/Amárach Research, 44% of people said they felt that a referendum on a united Ireland should be held. However, 35% of people felt that a referendum should not be held, while a further 21% said they didn’t know. There has been increasing speculation that the United Kingdom’s departure from the European Union on 29 March could eventually lead to the unification of the Republic and Northern Ireland. In December, Tánaiste Simon Coveney said that it would be “difficult” to avoid a hard border if the UK leaves the EU without a withdrawal deal, meaning that customs checks would be implemented on goods travelling from Northern Ireland to the Republic. 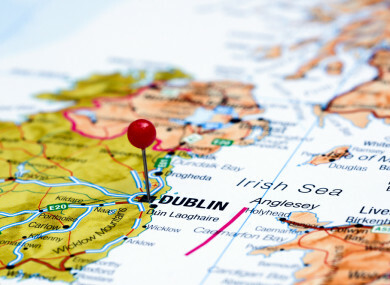 It’s believed that such a move would lead to calls on both sides of the border for Irish unification, with some arguing that it could allow cross-border business to continue as normal after Brexit and avoid a return to the violence seen during the Troubles. The poll questions were carried out by Amarách Research for Claire Byrne Live on Monday 21 January. The Claire Byrne Live/Amarách Research Panel consists of over 1,000 Irish adults. Email “Majority of people want a referendum on a united Ireland in event of no-deal Brexit”. Feedback on “Majority of people want a referendum on a united Ireland in event of no-deal Brexit”.